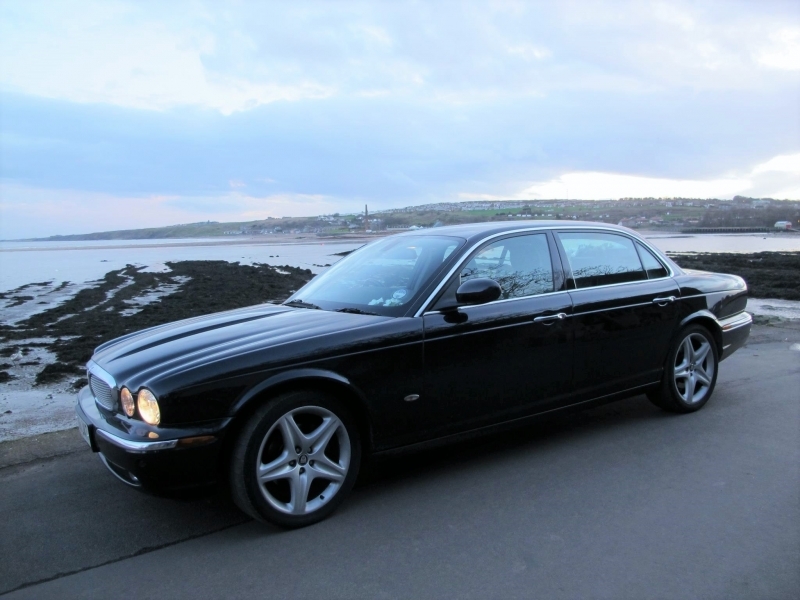 Alnwick Wedding Cars offer modern comfort and elegance with their Jaguar XJ executive built in 2007 and with an extended body for greater legroom whilst maintaining classic style for your big day. This car is finished in gleaming metallic black paintwork with luxury leather and walnut interior and plenty of space for the dress! 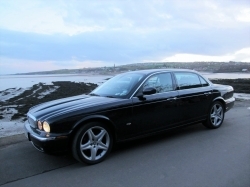 With an all aluminium body this car has a modern six cylinder twin turbo diesel engine and automatic gearbox enabling it to whisk you along in style and comfort to the ceremony and then to the reception. It is also an ideal car to collect and drop off the Bride for her ceremony where everything will be taking place on one site; special rates are available for this. For those with a limited budget or longer distances to travel then this could be the ideal Bridal car for you, offering modern elegance and comfort with a quality service. It is also an ideal car or to pick up Gran and Grandad. 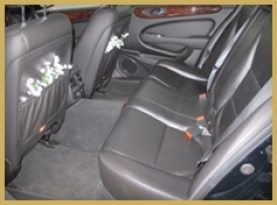 You still get the grey suited chauffeur, ribbons and bows, silk flowers, and all the other elements of our service for which we are becoming well known. 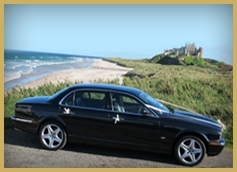 You also get the Alnwick Wedding Cars attention to detail in planning and in providing the service on the day. 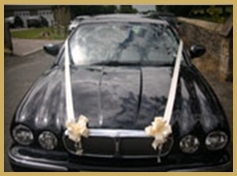 Don't forget the Groom and Best Man, our Jaguar is also popular as the boy's car so that they arrive in style and don't feel left out! Contact us today for a quote and further information about our service.